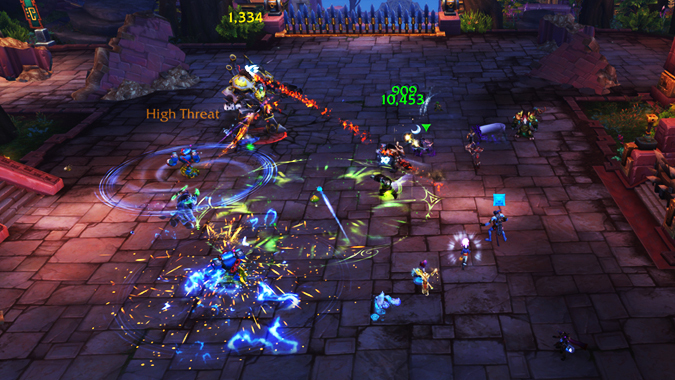 The High Tinker Mekkatorque fight is many things — an incredible hurdle to overcome for guilds on their way to Jaina, a near heart attack of an event for our own Liz Harper, yet another encounter whose mount we’ll be farming years from now to no avail. So perhaps it shouldn’t be as much of a surprise to me that it’s also the source of an item with a Gnome-only hidden bonus effect. You see, the High Tinker’s Cape offers a little something extra for any Gnomes out there who happen to get their tiny, tiny hands on it. While invisible to any non-Gnomes out there, the cloak has an extra line of text in its equip effect revealing that Gnomes’ Escape Artist racial has a reduced cooldown. It’s a 10-second reduction in what would normally be a 60-second cooldown, which, percentage-wise, is a big chunk of cooldown. And even if you’re of the mindset that 10 seconds is still only 10 seconds, this sort of effect is cool all the same. It’s not overpowered, it’s not underpowered — it’s just a nice little bonus for the Gnomes out there who had to suffer through taking down their leader. This does make me wonder if we’ll see more of these in the future, though. I mean, Blizzard has had hidden effects like this on items before, and that didn’t mean the advent of a new age of hidden-effect items, but still. If there were ever an expansion to have bonuses like this one, Battle for Azeroth is it. Maybe Forsaken can get something where Cannibalize restores more health and mana? Perhaps something of Tyrande’s helps Night Elves slightly improve their Touch of Elune racial? Maybe Trolls can get something that finally makes Berserking worthwhile? Ha, okay. Just kidding with that last one. What exactly would you like to see in the realm of hidden effects like this? Do you want them more often? Do you have any ideas for how they might look? Keep in mind, these sorts of bonuses don’t have to be based on the race you’re playing, either — what might a class- or spec-based bonus look like?